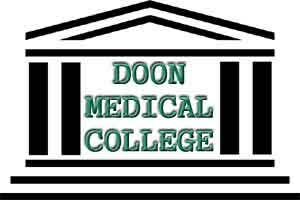 Patients visiting Doon Hosipital on the New Year were delighted to note that the Doon Hospital has been declared as Doon Medical College. There are hoardings put up at the premise of the new medical college now. However, there were no special offers granted to the patients visiting the medical college on the first day of its official declaration. Still, the patients can hope of an improved delivery in terms of healthcare services offered at the now Doon medical college. As reported by TOI, a resident of Dalanwala is implied to have said that we were expecting some rebate in health service, while to our dismay a 10% surcharge has been levied on the health facilities at the hospital. Still we are happy with the development that hospital will now be administered by the medical college authorities. TOI has learnt that the government order to the effect has been released. According to the GO, the entire charge of Doon men and Women Hospitals has been transferred to the medical superintendent (MS) of the medical college Dr K K Tamta, and now entire system will function as per directions of the medical college. Meanwhile, gearing up for upcoming inspection by the Medical Council of India later this month, state medical education minister Harak Singh Rawat visited the site of the under construction Doon Medical College in Patel Nagar on Friday. He directed the officials to complete the first phase of work within four days.